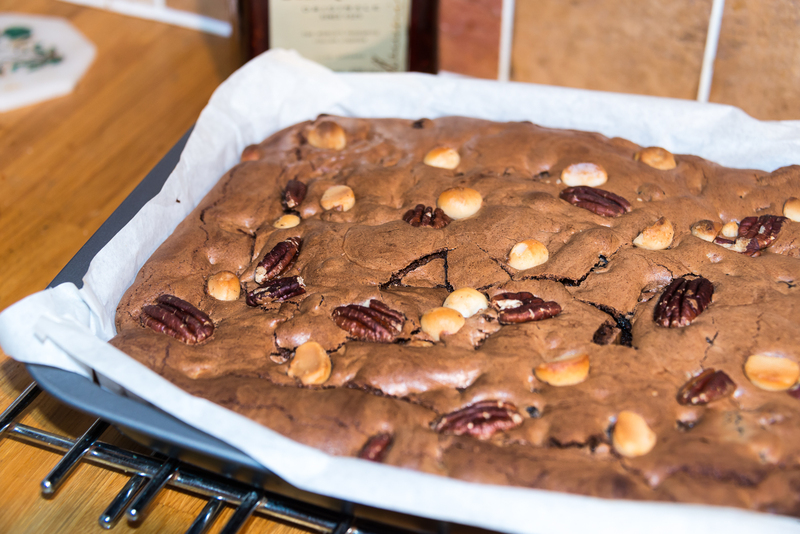 A batch of Christmassy fruit & nut chocolatiness for daughter Bec (er, I confess we hung on to some too…) using Doves Farm’s recipe for gluten-free Celebration brownies. I’ve made this recipe before, soaking the fruit in orange juice and a dash of whatever hooch was to hand at the time, but this time went for the recommended Amaretto, and it certainly works. Prunes might not sound particularly festive these days but they make a wonderfully moist and rich-tasting addition, and are of course very traditional. I was irked not to be able to get the dried sour cherries I’ve used before in place of the cranberries, as they are just delicious, but went with blueberries instead and they worked OK. I think the cherry/amaretto combo will take some beating, though, so will have to find an excuse to make them again before too long! 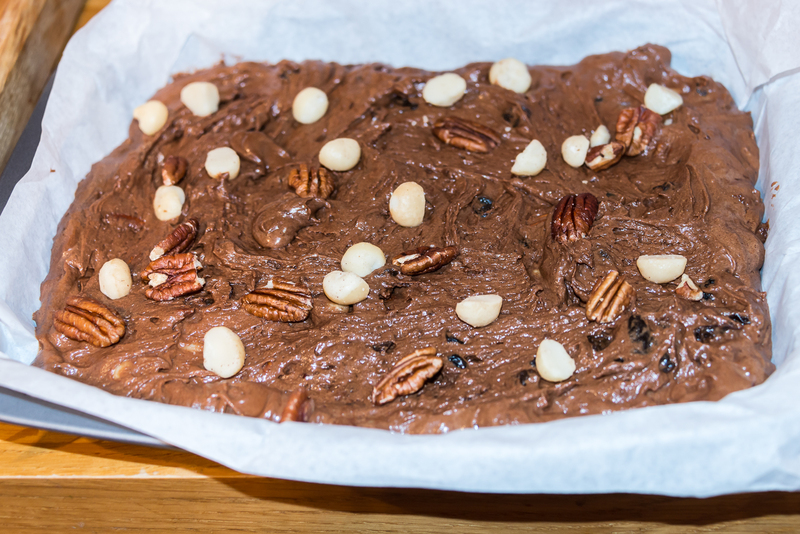 I have found you need to bake for rather less time than they suggest – start checking at 30 minutes and make sure you keep that essential fudgy middle! I have also not yet found a way to keep them from crumbling , but they don’t last long enough round here for that to matter much – and they taste delicious! This entry was posted in Food & Drink, Recipes and tagged Christmas, food. Bookmark the permalink.